We are pleased to host Master Classes as well, taught by some of the nation's most noted teachers and choreographers. has been with SRVDA since 1984, becoming an owner in 2005. She has known the Academy intimately from both a student's and parent's perspective, and has been a trusted advisor to the Academy for performances, costuming, back stage assistance, and general operating issues. She has been one of the participating choreographers in the annual "Impressions Of The Nutcracker" demonstrating not only a gift for choreography, but also a unique talent for teaching young ballet dancers. Jan was a dedicated student of ballet in her early years and continued her dance studies at UC Irvine; she received her Bachelor's degree in Philosophy from UC Berkeley. joined the SRVDA faculty in 1989 and became an owner in 2005. Jennifer is director of the SRVDA jazz companies and her creative and artistic talents are unmatched. Her choreography of the Senior Jazz Company's piece, "Eastern Elements," placed first from over 750 entries at Encore Performing Arts national finals in Las Vegas, NV. Her performing background includes principal dancer in Marin Civic Light Opera's production of "Mame," numerous industrials (including Pac Bell, GMAC, and Kadence Computer Company), the cruise ships Sky & Sea (Royal Viking Line) and Fujimaru, and featured dancer at Marriott's Great America. Jennifer's talents aren't limited to jazz; she is equally adept at ballet, tap, acting, and singing. Her students are continually challenged by her creativity and contemporary style of dance. Gayle Farley danced professionally with Ballet West in Salt Lake City, Utah for eight years. Under the direction of Bruce Marks, Toni Lander, and Denise Schultz, Gayle had the opportunity to dance soloist parts in some of her favorite ballets such as; Swan Lake, Etudes, Carmina Burana, Concerto Barocco, Symphony in C, Bruce Marks' Don Quixote and the premier revival of August Bournonville's Abdallah. Before becoming a member of Ballet West, Gayle attended the University of Utah's dance program with a full scholarship and trained under Bene Arnold and Mattlyn Gavers. As a student she studied at the Metropolitan School of Ballet in Bethesda, Maryland under Charles Dickson and Allan Woodard. Gayle's summers were spent at Ballet West's summer camp in Aspen, Colorado where she had the opportunity to study Bournonville technique with Dinna Bjorn of the Royal Danish Ballet. Gayle is the director of SRVDA's Junior Ballet Company and co-director of our Teen Ballet Company. Gayle is also a co-director of the Academy's holiday production "Impressions of the Nutcracker". Ed Farley was a professional dancer with Ballet West in Salt Lake City, Utah. After receiving degrees in both Ballet and Finance at the University of Utah, Ed joined the company and rose to the rank of soloist. Under the direction of Willam Christensen and Bruce Marks, Ed danced major roles in George Balanchine's Western Symphony and Stars and Stripes, Bruce Mark's Pipe Dreams, and the lead roles in Eugene Loring's Billy the Kid, Willam Christensen's Filling Station as well as many male roles in the Nutcracker. Ed trained at the Rosanne Zimmerman School of Ballet in Los Angeles and spent his summers on scholarship dancing at the 'School of American Ballet' (New York City Ballet) with noted teachers such as Stanley Williams, Richard Rapp and Alexandra Danilova. Ed enjoys teaching and choreographing and is the co-director of SRVDA's holiday production "Impressions of the Nutcracker". is skilled in many dance forms - ballet, jazz, and tap - and is currently sharing her talents in tap with students at SRVDA, where she has been a faculty member since 1991. She studied under one of the nation's most noted tap teachers, Stanley Kahn. As a dancer with the Mason-Kahn Dancers, she appeared with such celebrities as Bing Crosby, Dennis Day, and Phil Harris. She also danced for over 10 years with the performing group "Youth of America," sponsored by Pepsi Cola. She appeared at the Belrose Theatre in San Rafael with the dance group, "The Sidekick," was a featured dancer in "Jesus Christ Superstar" at the Palo Alto Theatre and danced in the San Jose Civic Light Opera's production of "Anything Goes" starring Chita Rivera. Lynette taught at the Mason-Kahn Dance Studios in San Francisco, inspiring and challenging her students. She now enjoys attending master tap classes around the Bay Area to broaden her knowledge in tap, as well as introduce her students to all styles of tap. longtime SRVDA alumna, has trained in NYC and was accepted into the highly sought after STEPS on Broadway scholarship program. While in NYC, she also worked and performed with several companies including Mix tape Dance (along with fellow alumna Lindsay Orr), The Next Stage Project, under the direction of Jana Hicks and Marijke Eliasberg, Vivake Dance, under choreographer Vivake Khamsingsavath, and Beth Leibowitz and Dancers, under director and choreographer Beth Liebowitz. Kristi has taught a wide variety of levels and choreographed for many studio showcases and events. Her classes combine proper technique and body awareness, as well as an emphasis on taking risks and exploring new ways to connect with the movement and the audience. were featured dancers in "Annie Get Your Gun" starring Mary Martin (choreographer, Ernest Flatt) and in the national company of "My Fair Lady" (choreographer, Hanya Holm). Their tour with "My Fair Lady" was highlighted by a 2 month cultural exchange visit to the former Soviet Union. With their own acro-dance act, they performed throughout the Far East and were seen regularly on Australian television ("In Melbourne Tonight"). Returning to the U.S., they appeared in such noted venues as the Flamingo and Desert Inn Hotels in Las Vegas, the Palmer House in Chicago, the Sheraton Hotel in San Juan, P.R., and numerous trade and industrial shows as well. They have been featured with such artists as Phyllis Diller, Ella Fitzgerald, Dionne Warwick, the Osmonds, and many more. Karla and Klaudia received their training under such noted teachers as Pat and Stanley Kahn, Jan Carpenter, Elna Laun, Rodney Strong, Chuck Keeney, Harry Cooper, and James Rozanas. In academic studies, Karla attended UC Berkeley and Klaudia received her BS degree in Business from CSUEB. They have taught master classes at private dance studios, high schools, and universities throughout California, in addition to teaching at such regional and national dance conventions as the Dupree Dance Convention and Dance Masters of America. Karla was the first director of SRVDA's Senior Tap Company, while Klaudia conceived and directed the popular adult group, "Just For Kicks," for over 15 years. The Kobelts brought a new dimension of dance to the Academy when they began teaching in 1973; in 1979 they became partners in the organization. has been dancing since she was six years old. She started taking classes in tap, jazz, hip hop, and ballet. She began teaching and assisting classes at 17 years old and enjoys teaching students of all ages and levels. She has performed and choreographed for Loose Change and she is currently dancing with Silhouette. Katie's specialty is fusing all forms of dance into her choreography and has been teaching dance classes all over the bay area for over a decade. received her BA Degree in Dance from Butler University and continued her studies with David Howard in New York and at the Royal Academy of Dance in London. She was a member of the Butler Ballet Company and later, the St. Paul Ballet Company. Her teaching career began in the Mid West and has spanned over 18 years. Jan is Director of the Apprentice Ballet Company for SRVDA. began her dance training at the Westside School of Ballet in Santa Monica, CA at the age of 5. She continued to study tap and ballet and received scholarships for summer study at the Pacific Northwest Ballet School, the San Francisco Ballet School and the Cleveland Ballet School. After graduating from the Los Angeles County High School for the Arts, she moved to Cleveland, OH to join the San Jose Cleveland Ballet as a trainee. In less than a year, she was promoted to full company member and spent 8 years working her way up to eventually perform principal and soloist roles in works by director/choreographer Dennis Nahat, George Balanchine and Donald McKayle, to name a few. When not dancing for San Jose Cleveland Ballet, she danced with the Chatauqua Dance Company in New York under the direction of Jean-Pierre Bonnefoux and for Cleveland Ballet Dancing Wheels with co-directors Mary Verdi-Fletcher and Sabatino Verlezza. Holly relocated to the Bay Area in 1999 and performed with Bay Area Dance companies including Mark Foehringer Dance Project, Margaret Wingrove Dance Company and was the former assistant director and principal dancer of Moving Arts Dance; she has also worked with local choreographers such as Charles Moulton, Charles Anderson, and Viktor Kabaniev. Holly has toured the world extensively as a performer and has been involved in various film and television projects ranging from independent art films to the opening sequence of the Drew Carey Show. Holly joined the faculty at SRVDA in 2000. Students at the Academy benefit greatly from her years of diverse training and professional performing experience. Holly currently directs the SRVDA Senior Ballet Company. is an accomplished dancer and entertainer with extensive training in multiple styles of dance. She has been an influential teacher and choreographer in the bay area for over 25 years. She has performed in many different venues from concerts to sports arenas and has danced abroad. Her diverse dance training includes Tap, Jazz, Ballet, Modern, Acrobatics, and Polynesian. She has studied with notable instructors Gregg Russell, Jason Kalish, and Rosie Raidiator. She has also traveled the Dance Convention circuit gleaning knowledge from master instructors while gaining a strong understanding of the Convention/Competition realm. She loves teaching & watching her students grow. This season she will be taking on some of SRVDA’s basic level Tap classes! After receiving her dance training from San Ramon Valley Dance Academy and programs in the US and abroad, including the Russian Ballet Society, BalletMet Columbus, and competing on the national level at New York City Dance Alliance; she moved to NYC where she joined the Steps on Broadway Repertory Ensemble and has worked with choreographers including Mark Dendy, Nathan Trice, Taye Diggs, Steven Sofia, and Jason Winters. Musical credits include On the 20th Century, Cabaret, West Side Story, and The Music Man. While in NYC, Lindsay also received her Bachelor's degree from Marymount Manhattan College in Communications with a Minor in Theater. She has also worked with various theater organizations, including the Drama League and New York Stage and Film. She also received her Pilates Mat Certification through Power Pilates. a former professional ballet dancer, began his training in West Bloomfield, MI under the tutelage of Jacob Lascu at the Lascu School of Ballet on full scholarship. He continued his training at the Pacific Northwest Ballet School on full scholarship where he was invited to perform with the company in their production of the Nutcracker. His professional experience includes Dance Detriot, Michigan Opera Theater, Pacific Northwest Ballet, Cleveland San Jose Ballet and Hartford Ballet. He has performed as a guest artist for several regional companies and began teaching ballet in 2000. David has been a part of training many successful dancers who have gone on to major in dance in universities and who have also pursued careers in dance. He has been a part of SRVDA for over 6 years as a substitute teacher and as a graphic designer for the studio. began dancing at a very young age in her native state of Nevada. After moving to San Francisco, she furthered her training at the S.F. Ballet. She performed with the S.F. Ballet Company, S.F. Opera Company, and has danced in numerous productions with the Diablo Light Opera Company. After completing her studies at S.F. State University, she taught in the S.F. public school system before moving to the San Ramon Valley. Ms. Ruslender taught at the Academy since its inception in 1969, and became a partner when the new facility was completed in 1979. She established a reputation for her successful and positive approach in working with young children. has had the pleasure of being a featured performer in long running productions for the legendary Jack Cole, dancer and jazz dance innovator Ron Lewis, the award winning Michael Darrin, and for the very busy producer Greg Thompson. He has performed for Kraft/Oscar Meyer, Sorbie Hair Products, Clothestime, Beach Blanket Babylon, Great America and many others. Byron's invaluable list of teachers includes the renowned Ann Garvin, Mona Rhone, Kathy Hirai, and Sheri Stockdale. Raymond Tilton was born and raised in the San Diego area. 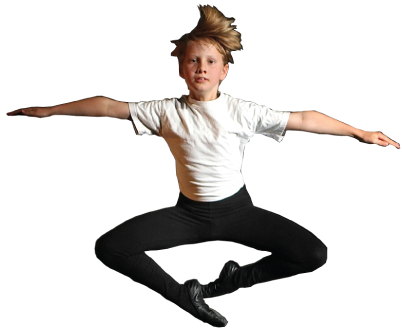 He began his early ballet training with Ben and Laurie Michelle Houk in San Marcos. He continued his ballet training at the prestigious ballet schools of Pacific Northwest Ballet, Boston Ballet and San Francisco Ballet. He moved to San Francisco to attend San Francisco Ballet School year round and was named an apprentice in 2010 and joined the Company in 2011. He trained with many world renowned teachers including Jorge Esquivel, Jean Yves Esquerre, Lola De Avila and Kevin Haigen. In 2010 Raymond was a recipient of an award for up and coming artist in San Francisco. He danced for five years with San Francisco Ballet and was featured in Helgi Tomasson’s Nutcracker (King of the Mice and Arabian) and Balanchine’s Four Temperament (First Theme). excels as a dancer (Nio Concert, Grammy Awards, Bette Midler's New Year's Eve Celebration), choreographer (T.L.C., Housin Authority) and teacher (Funkworks, Dance Attack, Citicenter Dance Theatre). He specializes in hip hop, house and freestyle dance. earned her Bachelor's Degree in Child Development at Cal State, Fullerton. She performed with the Bay Area Dance Group, "Dance 10," taught jazz at Berkeley Ballet's Summer School and was assistant to dancer/choreographer Steve Escudero, teaching and choreographing at numerous Junior Colleges in Southern California. Copyright 2009. San Ramon Valley Dance Academy, LLC. All rights reserved.